If both the parents are working and after the parental leaves are over, they are left with the difficult choice of leaving their baby under the care of someone else to start going for work. They have the choice of leaving their child with the grandparents or other relatives. But if this is not possible or not desired, then the other options are to leave the child in daycare in Noida. This is not an easy decision for any parent, especially if it is your first born. It should also be noted that with the increasing number career women, the number of daycare facilities are ever increasing. But how does one come to the conclusion of finalizing which daycare to choose for their child. One disadvantage of so many daycare facilities coming up is that it becomes difficult to choose which would be the best for your child. An appropriate choice would be a daycare near your home for some while for others it would be near the office. But, whatever your choice, do plan ahead for choosing the best daycare in Noida for your child. Mentioned below are seven important sign that makes a daycare great. Details: Getting the details right is the first and foremost thing that is greatly important. Do a proper research of the daycare facility or the baby care taker in Noida you are considering putting your child. Ask the other parents you know on which facility did they choose. Curriculum: Do go through the yearlong curriculum of the daycare in Noida. It should be a well balanced mix of activities and knowledge gaining experience. Inspecting the premises: After you have shortlisted the options, you should definitely visit the daycares or the baby care taking centre for a proper inspection. During this inspection, notice how are the children who are there, behaving. Are they happy? Do they have a comfortable look in their eyes and face. These signs could tell a lot about the environment in that particular facility. Most importantly, trust your intuitions and gut feeling. It will be a good choice to arrive there unannounced to actually see the real situation. Even after you have finalized the place you want to put your baby or child, do go there unannounced to get a feel of the actual settings of the place. 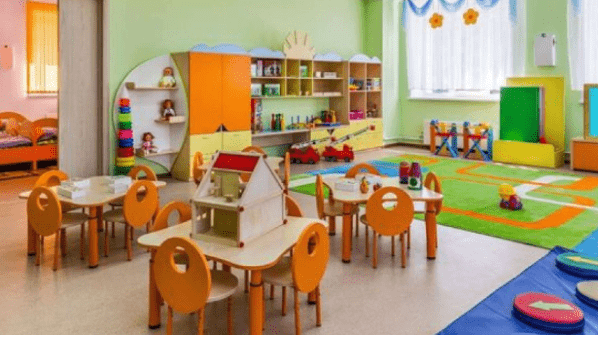 Safety & Hygiene Issues: One of the most important things to do when you visit the daycare facilities that you have shortlisted is to check the safety issues within the premises. Some things to note are – whether the place is clean enough, whether the toys and play materials are clean, non-greasy, if the floors and the window are clean enough, if there are enough seats and space for the child to move around during any activity, if there is proper ventilation etc. Asking questions: Keep your questions ready when visiting the day cares. Notice how the answer is given. Keep notes if necessary to compare later. References: Check with other parents who have put their children in that baby care taker in Noida to see if they are satisfied and are happy with the services. Child & Caregiver Ratio: A great daycare facility will have a proper ratio of one caregiver for every three to four children. In case of babies, it should ideally be 1:1. Also, to check is whether the caregivers are well- experienced and well-mannered. They should have the passion to do this work.